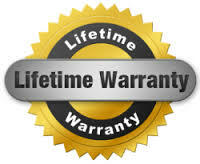 Once your window film installation is completed by Tall City Tint, rest assured our work is backed by a lifetime warranty to ensure your satisfaction. Each brand of window film we carry provides a Limited Lifetime Warranty including color stability and against fading, peeling, cracking, adhesive failure, and delamination for as long as the original customer retains ownership of the stated vehicle. Each customer receives a warranty card and sales receipt in order to process any claim at any time.